We are a small, independently owned bookstore. We carry new and used books for children & adults, plus toys, stationary, and other fun things. From the first day we opened for business we have striven to be a true neighborhood bookstore for the Benicia and Vallejo communities. Those of us who work here do so because we not only love books but we also love sharing that enthusiasm. We believe in the power of the written word to change lives and broaden personal horizons. We believe that communities deserve their own locally owned bookstores, businesses that respond to and reflect their neighborhoods. Dedicated to Our Customers and Our Community. 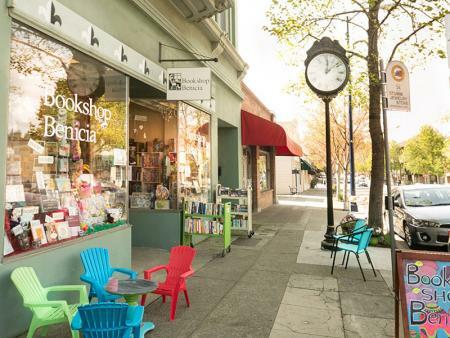 Bookshop Benicia is a locally owned, independent bookstore, dedicated to providing the finest in personal service to the Benicia, Vallejo and greater Solano County communities since 1993.